Is he spending his daughter’s birthday hiding from Khloe in Canada? Tristan Thompson rarely posts on his social media accounts. But the NBA player shared a photo on April 10, which was also the one-year anniversary of his infamous cheating scandal. He was caught hooking up with another woman just days before then-girlfriend Khloe Kardashian gave birth to their child in April 2018. The new post seemed to send a message about where he’ll be on True’s April 12 birthday — and it’s not with his daughter in Calabasas! Click through the gallery for all the info. The Cleveland Cavaliers player is from the Canadian city, and the post seemed to imply that, now that the NBA season has ended, he’ll be taking his talents up north. The picture itself is actually from August 9, 2018, so it’s unclear if Tristan is actually in Canada right now, or was just using the shot to send a message. Khloe, 34, took her own swipe at Tristan on IG recently, calling him immature. Their social media war is brewing in the days before True’s first birthday. It doesn’t seem like the parents will come together for the toddler’s big day. As Star readers know, Tristan cheated on Khloe in April 2018 and was caught on camera. The Keeping Up With The Kardashians star decided to give him another chance and work on the relationship. She changed her mind in February 2018 when he cheated on her with Jordyn Woods, sister Kylie Jenner’s best friend. 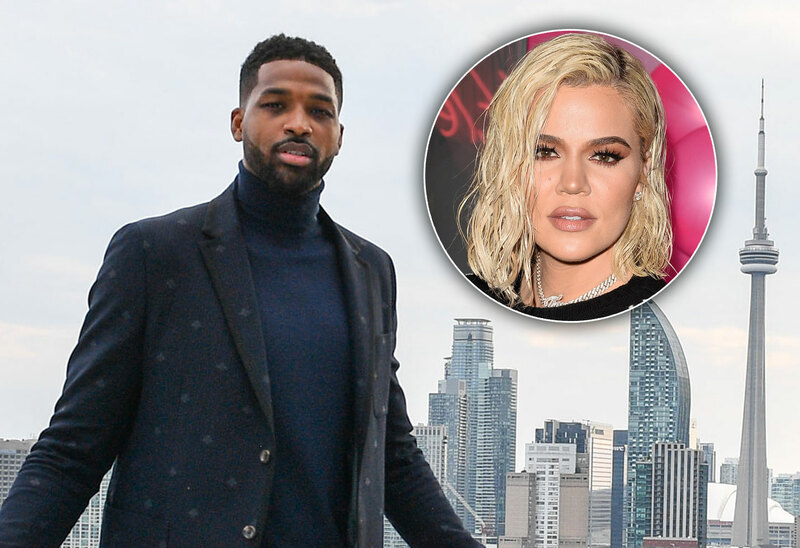 What do you think of Khloe and Tristan’s Instagram war? Sound off in the comments!